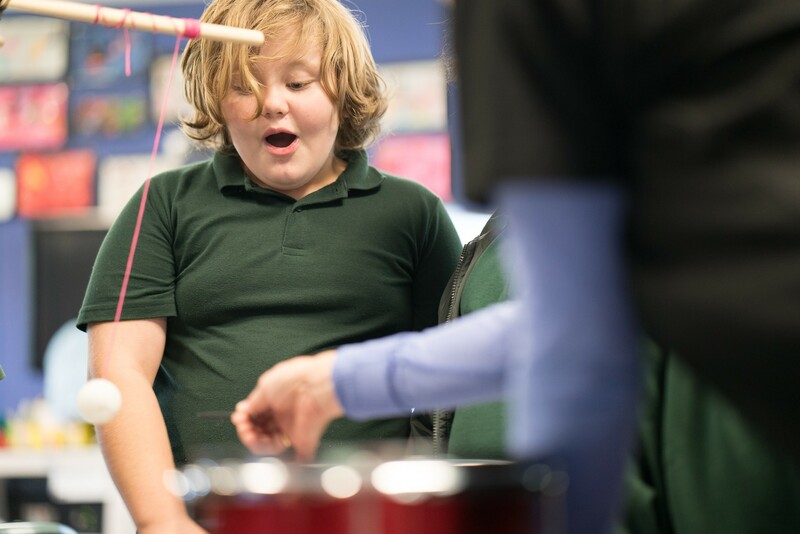 The Discovery Voyager is UNE’s new Science outreach and engagement program, delivering interactive, curriculum-aligned activities in STEAM (Science, Technology, Engineering, Arts & Maths) to schools in northern NSW. We offer activities in ecology, physics, chemistry, Latin/biology, precision agriculture, sports science, palaeontology, and natural history based on our collections showcased in the UNE Natural History Museum. Our catchment is extensive, from the Queensland border in the north to around Muswellbrook in the south; from the coast to the Castlereagh Highway in the west. We guide students through concepts and content that are related to, and extend topics, skills and understandings in the Australian school curricula. Our activities are delivered by scientists and science educators who are passionate about engaging students in fun, student-centred learning. Through engaging language, flexibility and play, we quickly develop a rapport with students, and encourage eureka moments through self-directed exploration. Our activities are all aligned to the NSW syllabus and cater for students in years K-10. The activities on offer span a broad range of scientific disciplines, from Chemistry, Biology and Physics to Scientific Illustration, Palaeontology, and Sport Science, and we are lucky enough to give you access to collections from our Natural History Museum here on campus. Exploration and play-based learning enhances skills beyond content covered in the classroom. From increasing language, social, emotional, creative and problem-solving skills, the importance of play in children’s learning and overall development is becoming more and more evident. 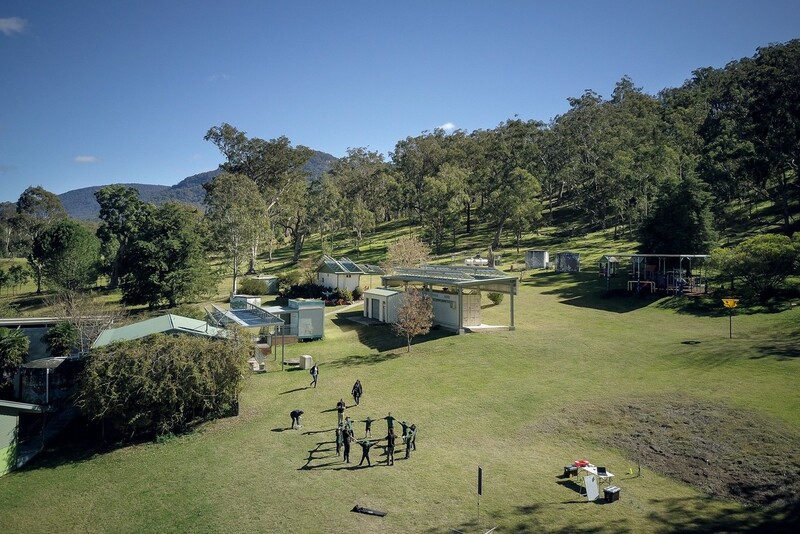 The UNE Discovery Voyager aims to harness this, and tailors transformative, play-based and exploratory experiences to suit students in regional, rural and remote northern NSW. Engaging people in STEAM from a young age not only helps them think differently about science, but encourages inquiry and critical thinking – skills invaluable beyond the classroom. 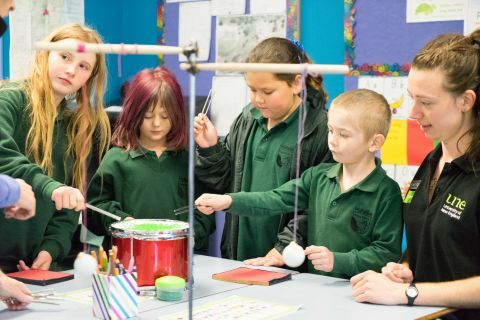 Allowing students to direct their own learning and explore possibilities aids in their perception of what a love of learning can look like when pursuing tertiary study and life-long learning. We run curriculum-aligned activities in STEAM (Science, Technology, Engineering, Arts & Maths) that are ~45 minutes long for up to 30 students in each activity. The cost of a UNE Discovery Voyager Visit is $3 per student no matter how many activities you book (with a maximum of 4 activities per visit)! School visits are usually planned around two ~90 minute sessions, in which groups of students rotate through different activities, spending ~45 minutes at each activity. We usually run four concurrent activities with one rotation before recess (in ~90 minutes) and repeat this between recess and lunch. We are relatively flexible however, and can work with schools to fit around other school activities and fit in with bell times. Dr Kirsti Abbott leads UNE Discovery and is happy to answer your questions about the program. Dr Jean Holley coordinates visits to schools, and we have a fabulously enthusiastic and talented group of facilitators that will visit your school. Find us online at UNE Discovery Voyager where you’ll also find answers to your Frequently Asked Questions!